French Jewish group says car ramming attack in Paris highlights indifference to anti-Semitism by French authorities. 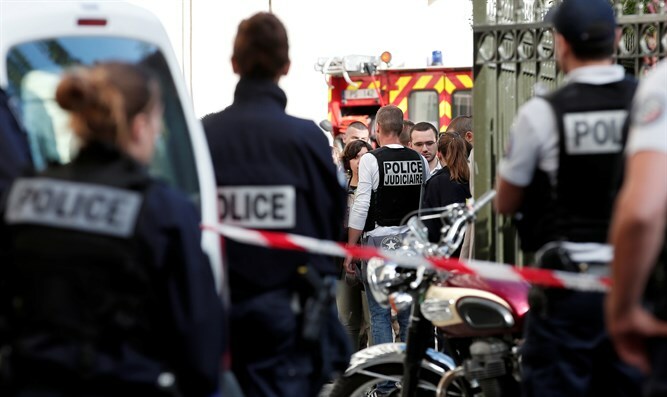 Amid outrage in France over a suspected terrorist attack against police officers, the CRIF umbrella group of French Jews suggested the incident highlights indifference to anti-Semitic violence. CRIF on Wednesday posted on Facebook a tongue-in-cheek statement, questioning whether authorities would place under psychiatric evaluation a suspect who fled after ramming six police officers with his car in the Paris suburb of Levallois-Perret. Two officers sustained serious injuries and the rest suffered moderate ones in the Wednesday morning attack. “What do you think, should this insane person be put in a psych ward while we contemplate the reasons for his actions?” CRIF posted in French on Facebook about the attacker in Levallois-Perret. CRIF has campaigned vigorously for the inclusion of an aggravated element of a hate crime into the murder indictment against Halimi’s killer, Kobili Traore. The judiciary’s omission of this element is a “cover up” of the anti-Semitic character of the crime, CRIF President Francis Kalifat has said. Mainstream French media began covering the controversial issues involving Halimi’s death more than two months after it happened. Speaking about the Levallois-Perret attack, Mayor Patrick Balkany told French radio the incident appears to be a “deliberate attack” and that French security forces are conducting a massive manhunt for the suspect.